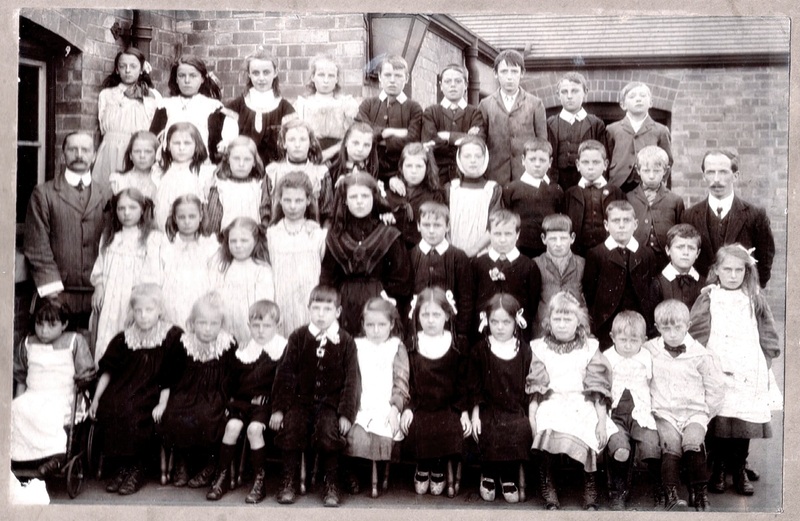 We hope that you enjoy these early photographs of Jacksdale School Pupils. Unfortunately some of the photographs are not very good quality and several can not be dated accurately. In some photos there seems to be a wide age range in the children photographed. 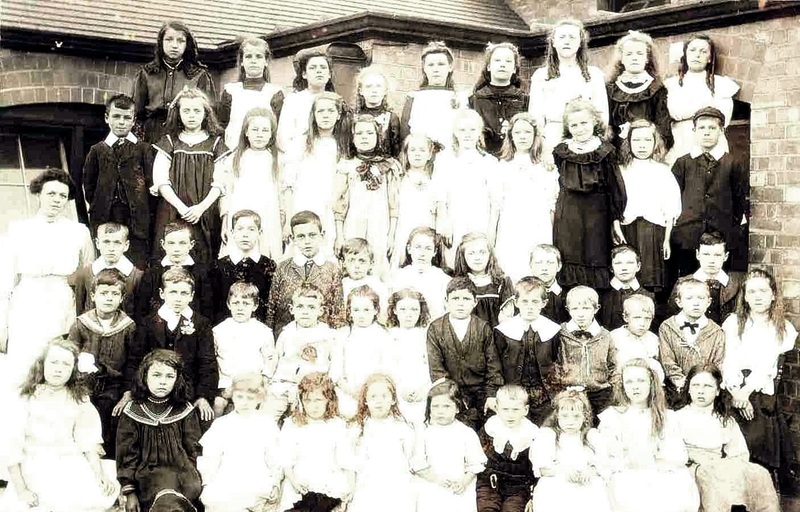 We believe this is because brothers and sisters of different ages were grouped together so their parents then only needed to purchase one photograph instead of several. 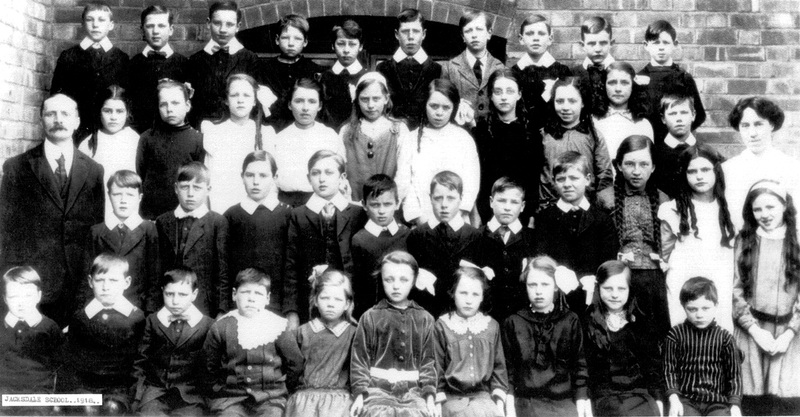 Note that children of the same family often wore garments made from the same cloth or in the same style as a brother or sister, a very effective way of identifying who is related to whom. 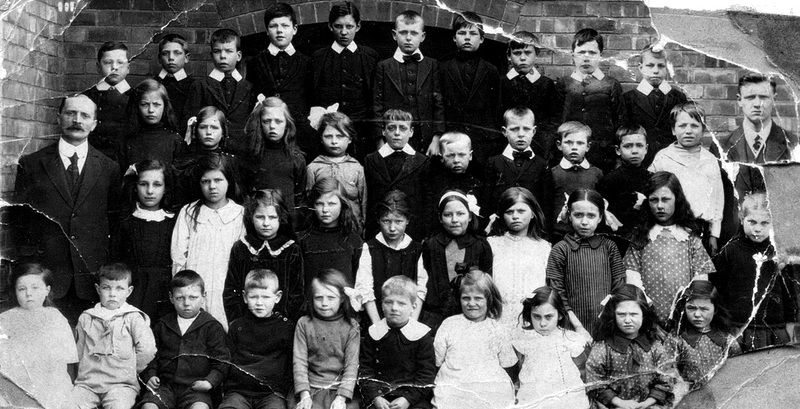 There does not seem to be a school uniform as such but it looks like children had to wear a uniform created by their mothers, just a simple starched collar or sailor’s collar made an ordinary garment look more austere. If some of the pupils in the classroom scenes look a little too old to be at a ‘Primary’ School, then this is because they were actually scholarship students, beyond school leaving age who returned to attend evening classes. 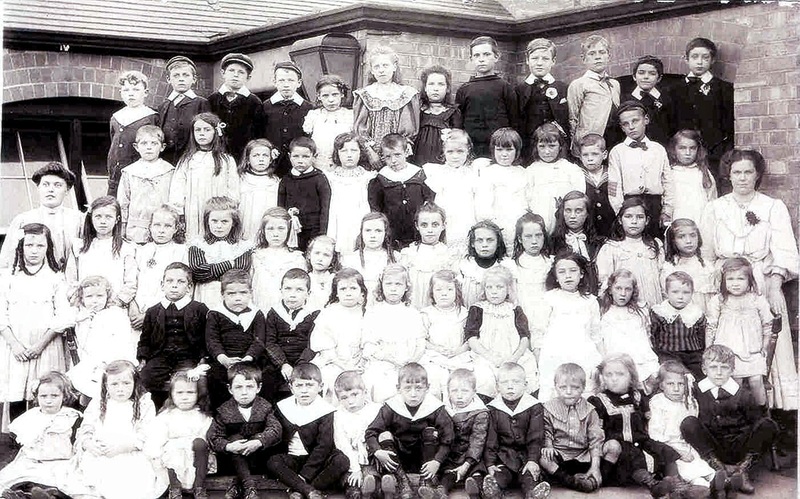 We also only have names to go with some of the photographs – go to the foot of this page to see if your relatives appear. We also have a large number of newspaper transcriptions which mention pupils names and events at the school, see the link below. 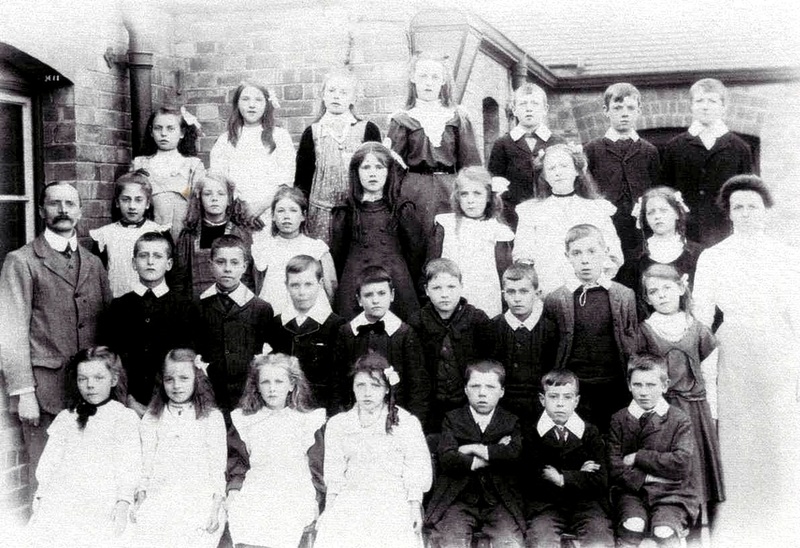 If you have any photographs or information about the school from this or any other decade, we would be very interested to hear from you. TEMPORARY BUILDING OPENED – SOLVING THE RELIGIOUS DIFFICULTY. 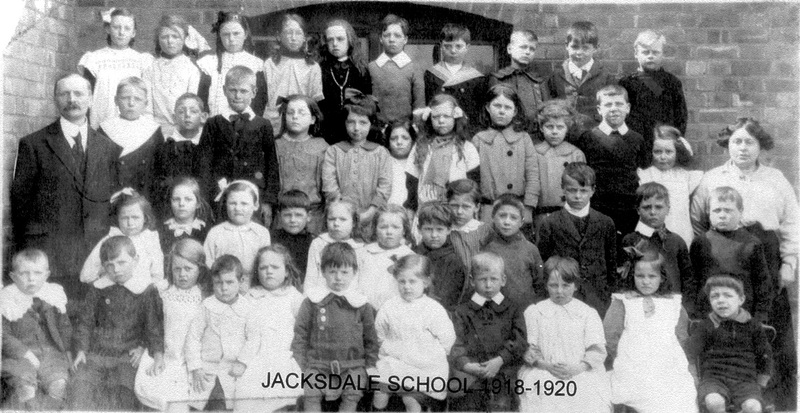 Saturday afternoon saw opened at Jacksdale a temporary Council school the first Council school in the parish at Selston. This is but the forerunner of a permanent scheme, which will eventually ensure accommodation for some 500 scholars, and has been rendered imperative by the overcrowding of all the departments, save the infants, of the existing schools. 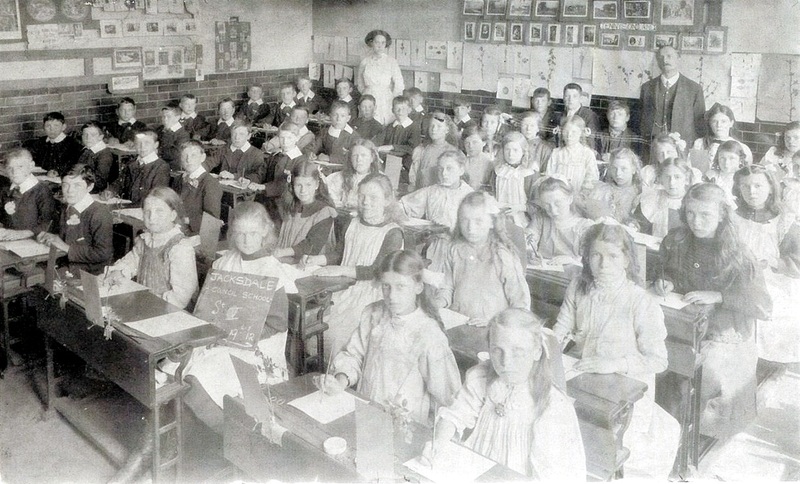 The overcrowding, in fact has been so serious that numbers of scholars have had to cross over the border into Derbyshire, to receive their tuition for which favour the Nottinghamshire authorities have recognised their indebtedness, and the neighbourly spirit in which it has been granted. The site acquired for the new scheme comprises an area of about 4,840 square yards, the cost being 3s per square yard. 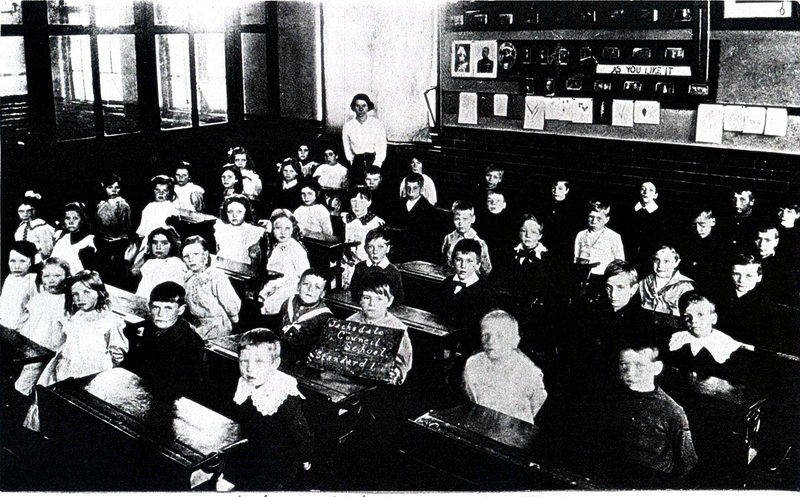 The temporary school has been erected on a portion of this land, is an iron building, and is constructed to accommodate 100 scholars from the west side of Selston. When the time arrives for its replacement, it can be taken down in sections for use elsewhere. Plans for the permanent block of buildings have been drawn up, and tenders are to be dealt with this month. The scheme is to be carried out in two sections, the first portion for 250 scholars being designed in such a manner that is can be subsequently be added to and accommodation for a further 250 children provided. Permanent out-offices have already been erected, and the total expenditure entailed is estimated to be £5,500. Mr. B. McLaren (chairman of the school managers) declared the temporary school open and ready for use. He was supported by Mr. G. R. Oakes, Mr. T. L. K. Edge (chairman of the Sites and Building Committee), Mr. T. P. Barber, Mr. A. H. Bonser, Mr. C. J. Bristowe (Director of Education), the Rev. 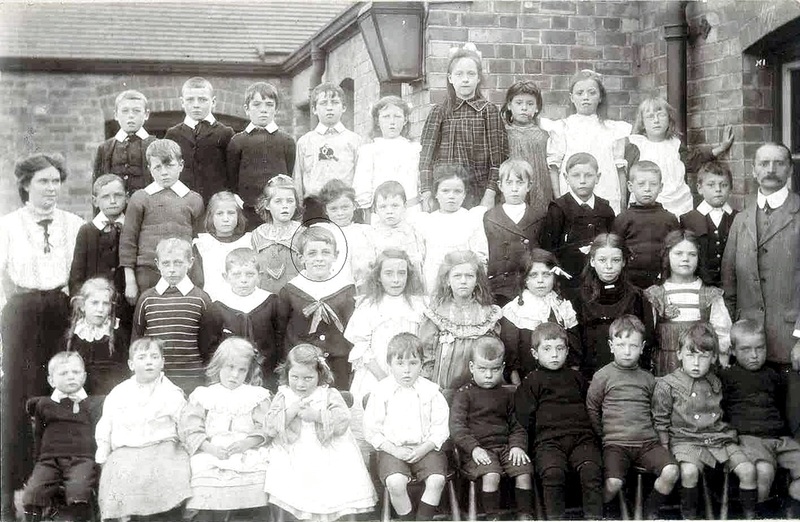 C. Harrison (vicar of Selston), Mr. C. Green, Mr. J. Vickars, Miss Laverick, Mr. J Brown (chairman Parish Council), and Mr. R. Hill (school managers), Mr. W. Wood (Basford District Council), Mr. J. Sander (architect), members of the Parish Council, teachers, and others. Mr. McLaren said the actual building was not the reason for making that an auspicious occasion, but the fact that it was the commencement of large new schools. They desired to do anything they could to see to the future welfare of the children and those living in the district knew the requirements far too well. 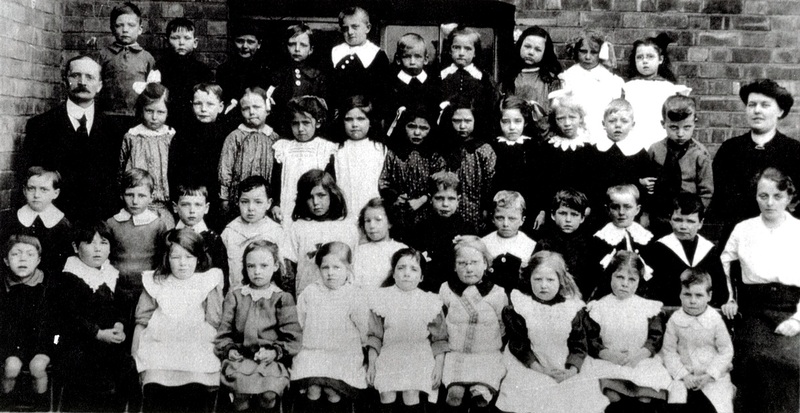 There were children who for years had been running about the neighbourhood who had never been to school. With this new building it would be possible to relieve other schools by removing some of the scholars to Jacksdale. (Applause). 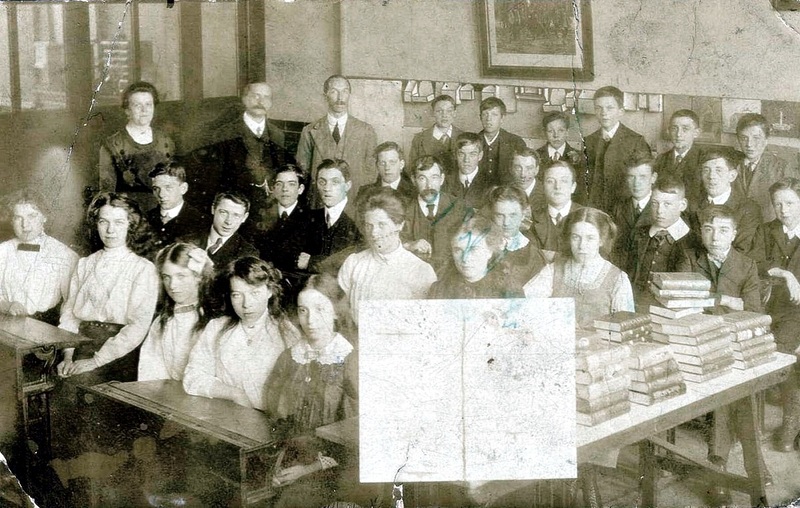 Mr. C. J Bristowe pointed out how a great many children had been crowded into the existing schools, and how necessary relief should be given at once—hence that building. The education authorities had had a great deal of difficulty selecting a site, and had delayed action in the interests of the ratepayers. Mr. Edge announced apologies for absence from Mr. H. Mellish (chairman of the county Education Committee) and Mr. R. B. Bagnall-Wild. The cost of the permanent schools to the parish, including the furniture, would be about £315 a year, he said. It would mean probably about a 3d. rate, as compared with 6d. 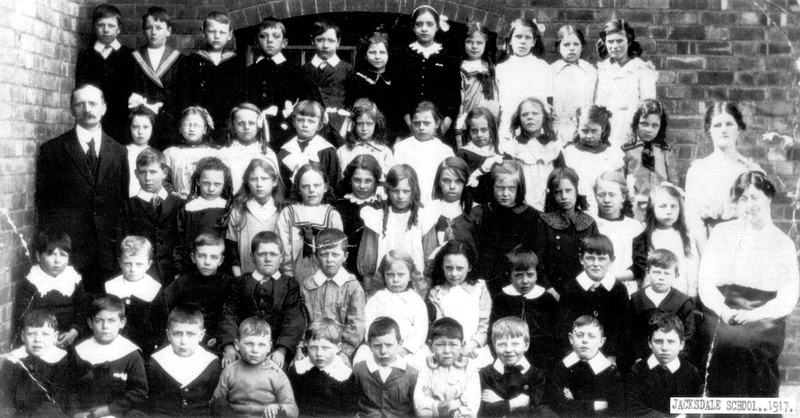 one at Hucknall Torkard for school undertakings, and a 7½d. at Sutton-in-Ashfield. The cost to the parish in respect for works already in hand would be about £118 for the first year, with a gradual reduction. Mr. A. H. Bonser claimed for the county education authority that it had never considered politics or religion in appointing its managers. 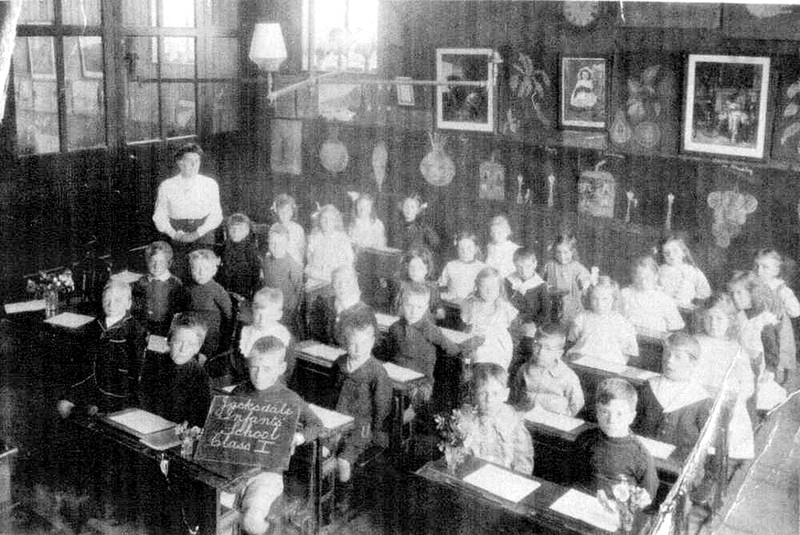 The county felt there must be religious instruction given, and that the teachers were the best able to give that instruction, Biblical and moral. 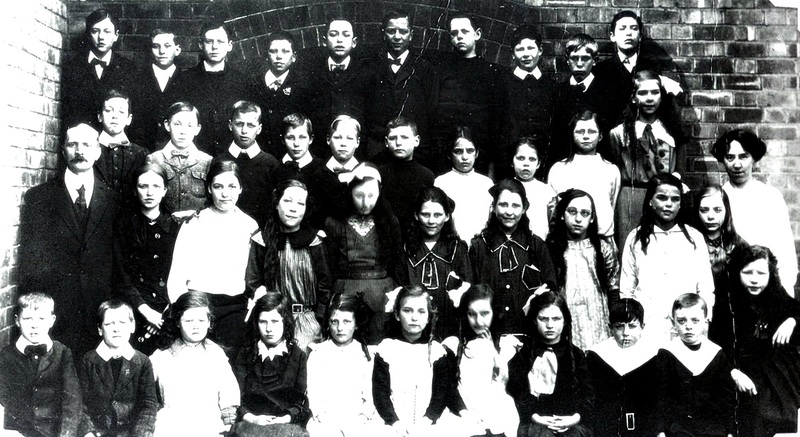 They had solved the problem of Religious Instruction in Nottinghamshire, for when the authority was conveyed to them they selected a committee of Churchmen and Nonconformists, asked them to promulgate and promote a scheme to satisfy all, and this they had done. Church masters had admitted the scheme propounded to be almost as good as they could have propounded themselves. Then why had not Parliament done it? Because the County Education Committee were business men, while he was afraid that in Parliament they did not get all business men. The Vicar, in proposing a vote of thanks to the visitors, said that if ever as a manager he showed the slightest partiality he hoped he would be hounded out of that position. Miss Laverick, who is the first lady manager in the parish, seconded the resolution. Subsequently a tea was given in the Institute. 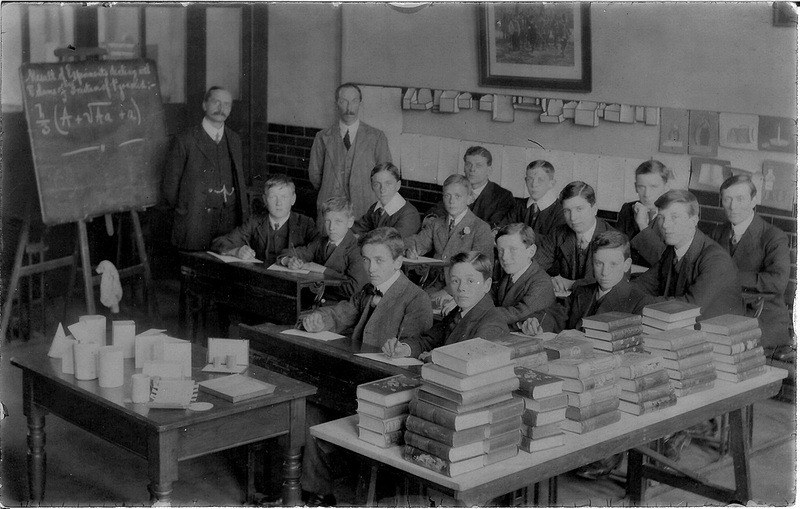 Replying to a vote of thanks for providing this, Mr. G. R. Oakes said it was three years ago since he first heard about the want of a school in Jacksdale, and he could not help saying that it had been a very long time getting to the beginning of what was wanted. He should have liked to have seen a permanent school but that would soon come now. 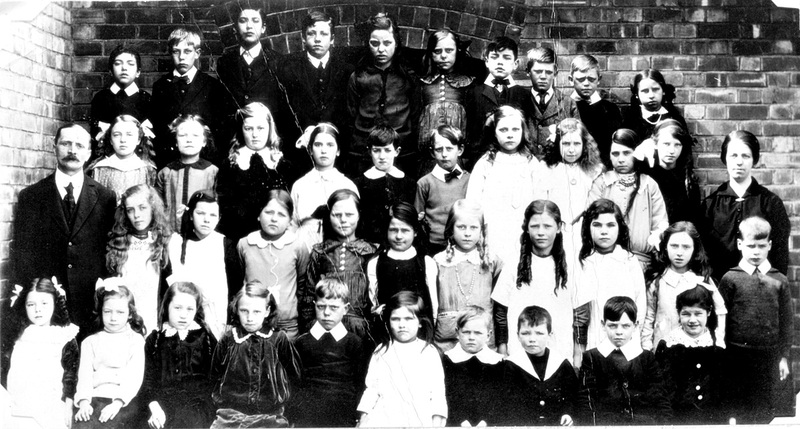 1908 January 10th JACKSDALE – PERMANENT SCHOOL. 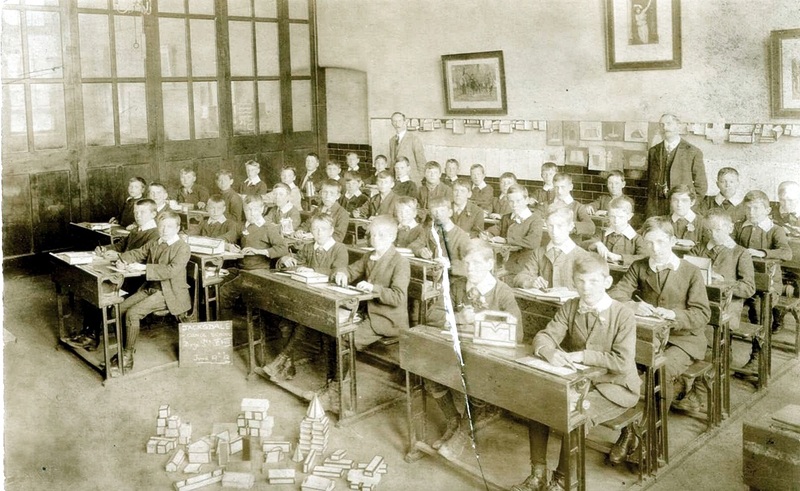 – twelve months ago a temporary school was opened by the Notts. County Council, on a site near the Institute Jacksdale, to provide accommodation for the increasing population. About 100 scholars have been dealt with in this room. But a section of the permanent school has been built, so that the accommodation now provided is for about 450 scholars. On Monday morning 260 scholars took possession of the schools. A short opening ceremony took place, and there were present the Rev. 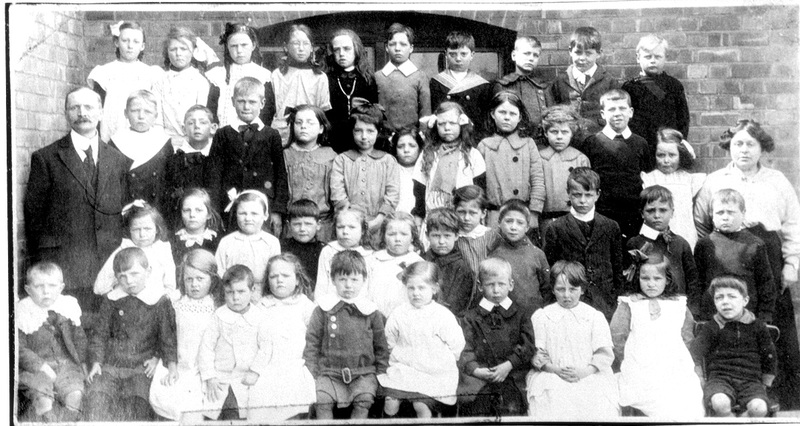 G. Harrison, Miss Laverick, and Mr. R. Hill (managers), and a considerable number of the parents. 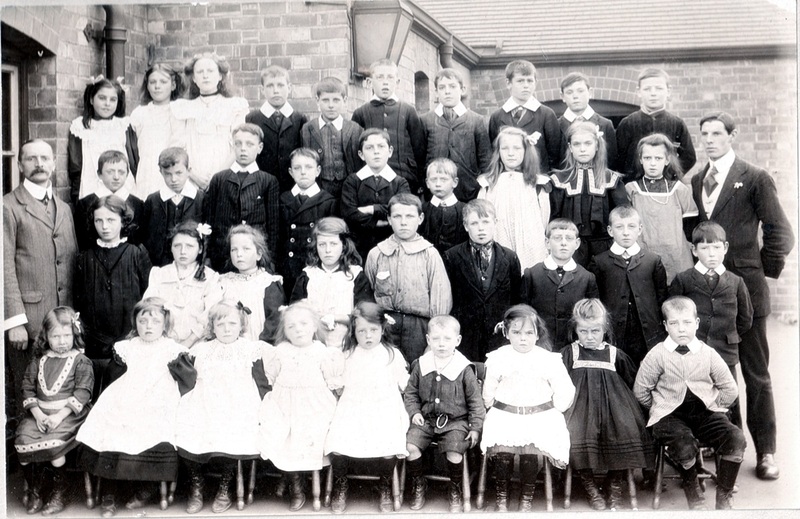 Mr. Harrison gave a general welcome to the children, expressing gratitude to the Ironville School authorities for so long sorting accommodation for so many Selston children, and hoping that the two authorities would work closely together. The staff he also welcomed, and he thought it would be ? ? to some in this district. Miss Laverick and Mr. R. Hill ? ? both ? ? ? ? of the school and its appointments.